With a revamped interest in the physics of golf, there is a growing investment in technologies that help us to better understand the sport. One company that has separated itself from the field with its innovations is FlightScope, who has pushed the envelope since 1989. And we’re happy to work with them. It was announced early Thursday that USGolfTV has partnered with FlightScope to utilize and promote its products. Click here to see what the Tour Draw is all about! Matt Every, who won the Arnold Palmer Invitational at Bay Hill last weekend, uses FlightScope in his practice sessions. The victory brought some much-needed press, as in one can’t get enough, for one of the leading products in the industry. FlightScope utilizes 3D Doppler radar to track everything from the flight of the golf ball to the speed of the swing. In total, FlightScope’s Doppler tracking covers 27 variables. For an inexperienced amateur, the results could be overwhelming. 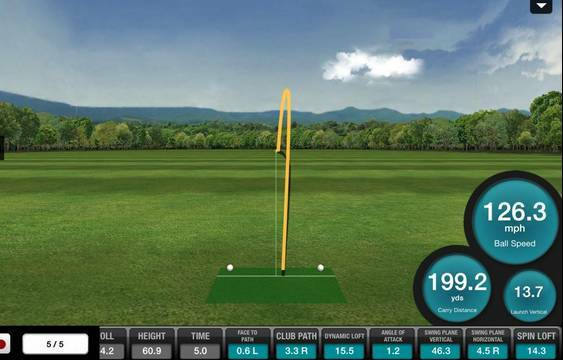 But for someone with a nuanced understanding of the game, FlightScope is incredibly useful. The device, typically set up alongside a golfer on the range (it looks a bit like a projector, spits out information almost immediately. In fact, the ATP, pro tennis tour, uses FlightScope for chair-umpiring scoring systems. In addition, FlightScope is the only company in the world to measure bowling speed in Cricket. It’s a wide ranging product that carries esteem in sports. We’re excited to further test out FlightScope in relation to our products, especially our recently released Tour Draw. The Tour Draw system is designed to not only eliminate a golfer’s slice, but to turn it into a nice draw. FlightScope will only add to our continuing effort to improve the teaching methods in golf. We look forward to writing product reviews, filming practical uses of the FlightScope for our national television series, and, most important, working with golfers to improve their games. We’ve long been fans from afar, and hopefully you have to. Please find more information on the FlightScope at flightscope.com. Previous post: What is the Swing Wizzard?